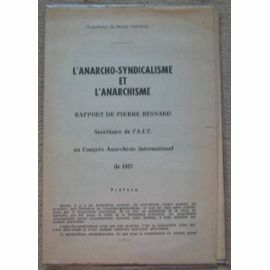 The following excerpts, translated by Paul Sharkey and appearing in English for the first time, are taken from Pierre Besnard’s address to the June 1937 Paris Congress of the anarcho-syndicalist International Workers’ Association (IWA/AIT), L’Anarcho-Syndicalisme et l’Anarchisme, Rapport de Pierre Besnard, Secretaire de l’A.I.T. au Congrès Anarchiste International de 1937 (dated 30 May 1937; republished as a supplement to le Monde Libertaire, 1963), with an introduction by Alexander Schapiro. The IWA held a special congress in Paris, June 11-13, 1937, to debate the relationship between the anarcho-syndicalist and anarchist movements, and to deal with the participation of the Spanish CNT in the Republican government in Spain as part of its fight against fascism. In July 1937, the well respected French anarchist, Sebastien Faure [Anarchism: A Documentary History of Libertarian Ideas, Volume One, Selection 66] published a stinging rebuke of the Spanish anarchists in the French anarchist paper, Le Libertaire, in a series of articles entitled “The Fatal Slope,” castigating them for joining the government. The CNT was furious, and forced Besnard to resign as general secretary of the IWA. Besnard (1886-1947) was very active in the French anarcho-syndicalist movement from the end of the First World War until the Second World War. 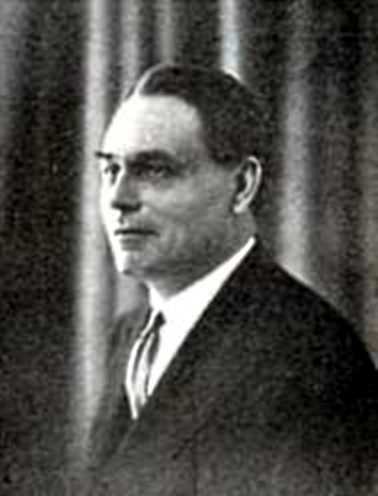 He contributed to Faure’s Encyclopédie anarchiste, and wrote several books on the theory and practice of revolutionary syndicalism, including Les syndicats ouvriers et la révolution sociale(Paris: Le Monde nouveau, 1930); Le Monde nouveau (Paris: CGTSR, 1936); and L’Ethique du syndicalisme (Paris: CGTSR, 1938). He tried to modernize anarcho-syndicalism, and to persuade other anarchists to support anarcho-syndicalist trade unions without derogating from their independence and autonomy. Nevertheless, Besnard sought to achieve ideological unity among anarchists, taking a position somewhat similar to the Platformists associated with the Russian anarchist, Peter Arshinov, and the Ukrainian anarchist partisan, Nestor Makhno (Anarchism, Volume One, Selection 115). For more on Besnard, see Wayne Thorpe, “Anarchosyndicalism in Inter-War France: The Vision of Pierre Besnard,” European History Quarterly, Vol. 26, No. 4, 559-590 (1996). 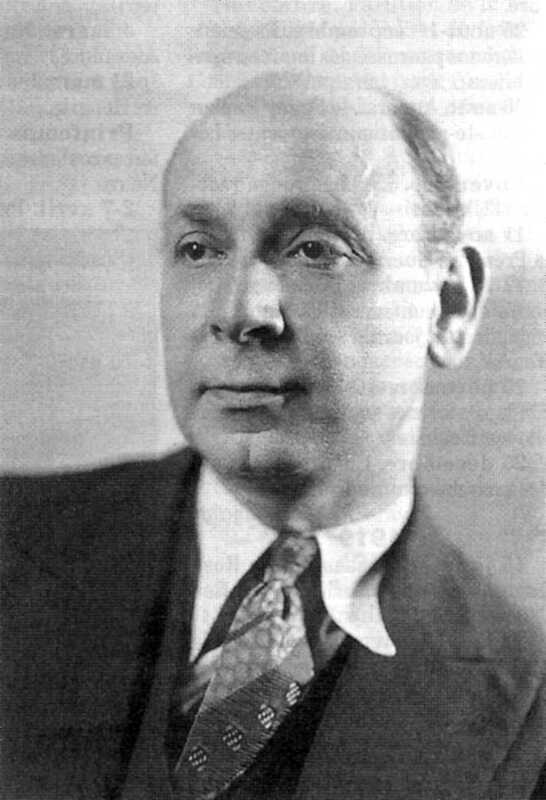 Alexander Schapiro (1882-1946) was a veteran anarcho-syndicalist active in the international anarchist movement and the revolutionary anarcho-syndicalist movement in Russia during the Russian Revolution and civil war (Anarchism: A Documentary History of Libertarian Ideas, Volume One, Chapter 18: The Russian Revolution). Born in Russia, he was raised in Turkey, studied in France and then joined his father in London, where both of them were active in the London Anarchist Federation. He was a delegate of the Jewish Anarchist Federation of London at the 1907 International Anarchist Congress in Amsterdam and one of the signatories to the International Anarchist Manifesto against the First World War (Volume One, Selection 81). He became the secretary of the Anarchist Red Cross, which provided aid to imprisoned anarchists, particularly in Russia. He returned to Russia after the 1917 February Revolution, where he worked on the anarcho-syndicalist paper, Golos Truda [The Voice of Labour], and sought to revive and strengthen the Russian anarcho-syndicalist movement. For a time, Schapiro collaborated with the Bolshevik government, taking a post in the Commissariat of Foreign Affairs. He protested the persecution and imprisonment of anarchists by the Bolshevik regime and went into exile in 1922. He became active in the revived International Workers Association (IWA), which adopted an anarcho-syndicalist program (Volume One, Selection 114), and helped organize relief for anarchist prisoners in Russia. He spent time in Berlin, where he worked with Gregory Maksimov (Volume One, Selection 83) on the Russian anarcho-syndicalist paper in exile, Rabochii Put’ [The Workers Voice], and then went to France, where he continued his work with the IWA and edited the anarcho-syndicalist paper, La Voix du Travail [The Voice of Labour]. He eventually emigrated to New York, where he died in 1946. When the Russian anarchists nearly a half a century ago pioneered the hoisting of the anarcho-syndicalist colours, the word was rather coldly received by the anarchist movement. And in 1917, following the downfall of Tsarism — it was also the eve of the October Revolution — anarcho-communists were unduly guarded about and even hostile towards this new anarchist formation. Anarcho-syndicalism is not a doctrine. It is the meeting between a given doctrine and an equally specific trade union tactic. But the class struggle is of positive value only if it is constructive in its aspirations. So that struggle has to be endowed with a future program that would complement its minimum program of partial demands in the here and now. Anarcho-syndicalism arose precisely out of that need, which anarchists have eventually come to appreciate, to add to the short-term program a social program that would embrace the whole economic and social life of a people. The Great War swept away the Charter of trade union neutrality. And the split inside the First International between Marx and Bakunin [Volume One, Chapter 6] was echoed — nearly a half-century later — in the inevitable historic split in the post-war international workers’ movement. To counter the policy of subordinating the workers’ movement to the conveniences of the so-called “workers’” political parties, a new movement founded upon mass direct action, outside of and against all political parties, rose from the still smoking embers of the 1914-1918 war. Anarcho-syndicalism made a reality of the only confluence of forces and personnel capable of guaranteeing the worker and peasant class its complete independence and its inalienable right to revolutionary initiative in all of the manifestations of an unrelenting struggle against capitalism and State, and the rebuilding of a libertarian social life upon the ruins of outmoded regimes. So anarcho-syndicalism is complementary to anarcho-communism. The latter was afflicted by a considerable shortcoming that paralyzed all its propaganda: its detachment from the labouring masses. In order to plant libertarian principles there and afford them opportunities for actual realization, what was required was the organizing of trade unions and the placement of trade unionism upon libertarian and anti-statist foundations. Which is what anarcho-syndicalism did and continues to do. Now that anarcho-syndicalism exists as a force organizing the social revolution on libertarian communist lines, anarcho-communists owe it to themselves to become anarcho-syndicalists for the sake of organizing the revolution and every anarchist eligible to become a trade unionist should be a member of the anarcho-syndicalist General Labour Confederation. Organized, outside of their unions, into their ideological (or, to borrow the terminology employed by our Spanish comrades, “specific”) federations, anarchists remain the continually active leaven, allowing anarcho-syndicalism to build but preventing dangerous compromises. But the ideological guidance implied by the “builders” being imbued with the ideal of the “propagandists” turns into effective leadership. Prior to this, and especially in the aftermath of the war, nationally and internationally, the trade union movements had always found themselves tied to the apron strings of some “workers” party or “labour” International. Anarcho-syndicalism, which today stands for the revolutionary syndicalist direct action movement and libertarian reconstruction, must not, by aping the rest of the workers’ movement, come to find that it too is tied to the apron strings of some “specific” organization — be it at the national or international level. That would be a mistake every bit as irreversibly fatal as it has proved for the reformist or dictatorship-minded brands of trade unionism. The Anarchist Federation supports the Anarcho-Syndicalist Confederation in its class struggle and striving for revolutionary reconstruction. But it should not assume the initiative or leadership of it. On the international scene, an Anarchist International can only mirror the national Anarchist Federations. It will be the bulwark of the IWA, but must never become its commander-in-chief. I. What is Revolutionary Anarchism? Revolutionary Anarchism is a movement whose doctrine is designed to institute an individual and collective existence from which the State, Government and Authority will be barred. Incontrovertibly, the foundation of that society will be man. So Anarchism is the affirmation of an ongoing social demand in the here-and-now and into the infinite future, into the indefinite future. 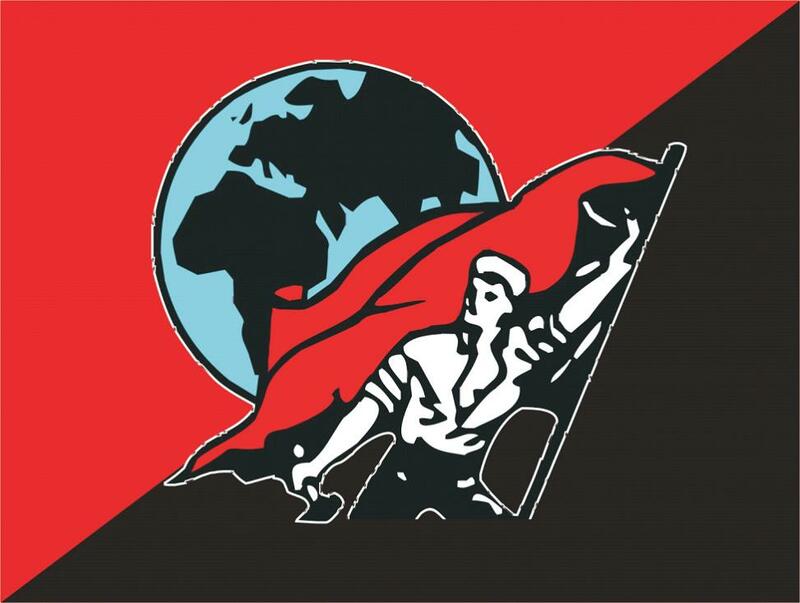 Historically, Revolutionary Anarchism is the third branch of traditional socialism. By contrast with the other two branches, Socialism and Communism — both of them political, authoritarian and statist — it is a-political, anti-parliamentary and anti-statist. Its essential feature is freedom in a context of accountability, individual and collective alike. Its chief tasks at present are: propaganda, popularization and social education of the labouring masses today and, tomorrow, the administration of society. Anarcho-Syndicalism is an organizational and organized movement. It draws its doctrine form Anarchism and its organizational format from Revolutionary Syndicalism. It is the contemporary expression of the anarchist doctrine as regards matters economic and social. In terms of the revolution, it is also, as the Spanish experience itself has demonstrated, the essential agent of realization. At the world level, it is represented by the IWA and its National Centres. Its doctrine has been defined by the founding Congress of the 2nd IWA (25-31 December 1922 [Anarchism, Volume 1, Selection 114]), by succeeding congresses, and by the works and writings of its militants. In Spain, the CNT stands for the Anarcho-Syndicalism of the IWA. Practically and no less historically, Anarcho-Syndicalism is the organizational format assumed by Anarchy for the purposes of the fight against capitalism. It is fundamentally at odds with political and reformist trade unionism. Anarcho-Syndicalism’s substitution of the idea of Class for the notion of Party makes it an essential tool for workers obliged to defend their living conditions in their preparation for economic and social liberation. The Anarcho-Syndicalist movement makes possible a yoking together of action in pursuit of day-to-day demands and the loftiest aspirations of the workers. It achieves an amalgamation of the two in terms of material, moral, short-term and future interests. Out of a commonality of interests, it brings forth an identity of aims and, as a logical and natural consequence, a reconciliation of doctrines. Like any truly social doctrine, Anarcho-Syndicalism is essentially a matter of trial and error. Proof of this is the fact that, today, in Spain, its doctrine, having been consecrated and confirmed by the facts, is achievable in the short-term. Based on trial and error? Just like every social movement and all the sciences. In sociology as in physics or chemistry or mechanics, the idea springs from the act and returns to it. The fact always predates the idea and conjures up the doctrine, the philosophy from which the realization is to sprout. The doctrine, the idea, the yearning for further experiment as a means to the end, follow from the phenomena recorded which give rise to laws acknowledged by all and authenticated by experience. Down through the ages, what has social experience in every country and in the modern world in particular taught us? 1. That within their own class, individuals are more and more sure to band together on the firm ground of their interests. 2. That antagonistic classes seek, through elimination of their own contradictions, to realize their common interest; capitalists by means of the establishment of state capitalism, of which fascism is the most distinct expression; the workers, through expropriation of capital, abolition of wage slavery, abolition of the state and establishment of libertarian communism. 3. That, like their adversaries — and unfortunately, after them — workers try to achieve unity and a pooling of all their resources, because they have come to realize, at last, that the crucial battles taking place require methodical organization, coordination and massive, orderly deployment of these forces; because they have learnt the lesson taught by facts and experience, which plainly indicates that action should be well-prepared, direct, widespread and synchronized. 4. That the age of political revolutions is over; that everywhere the social revolution has come into its own; that no specially class-based, proletarian party or group can, by opposing the disparate interests of its heterogeneous membership, serve as a revolutionary spearhead, a class organization; that, whereas an employer might profess to be a socialist, communist or anarchist — they exist — and while he might see eye to eye with his worker ideologically within the group, he in fact has no class interest in common with him, once they both return to the factory, yard, workshop, office, etc. In real life, they are and remain: in the case of one, an employer, and, in the case of the other, a worker, with all of the antagonisms that their circumstances imply. 5. That the only genuinely class group with the potential, by virtue of its name, power and the resources at its disposal — which it alone can set in motion — simultaneously to destroy capitalism and make a reality of libertarian communism, is the Trade Union. Even now it brings manual, technical and scientific operatives together organizationally — and this is something it will take further tomorrow — ensuring that the life of society is sustained throughout. The Trade Union is also the typical grouping, the free and concrete model of association that can furnish libertarian communist society with the sound economic foundations vital to the new order that will spring from the revolution. The IWA Charter has extracted from all these historical considerations that which is common to all of the world’s anarcho-syndicalists. In concert with the FAI, the CNT is even now striving to put this into effect. This notion does not at all imply that anarcho-syndicalism — which is, remember, against the State and federalist — means and aims to be everything and that nothing else should exist alongside it. Instead, anarcho-syndicalism is of the view that men, while they cannot refrain from producing in order to survive, ought not to have production as their sole aim. It very candidly admits and has no hesitation in announcing that man has and rightly should have other aspirations — the highest ones at that — toward the good, the beautiful, the better, and this in every realm to which his faculties afford him access; that administrative and social agencies are called for equal to all the demands of a full, rounded, complete life, operating with the enlightened assistance and under the watchful, constant and unrelenting supervision of all. It accepts without question that individuals are entitled — or rather, have a duty — to administer themselves. It formally invites them to do just that, right here and now. Likewise, it fervently wants communes to federate on a regional basis, confederate with one another nationwide and for the confederations to link arms internationally, after the pattern of the unions and the CGT [Confédération Générale du Travail]. Of necessity, agreement between anarcho-syndicalists and anarcho-communists on libertarian communism as the objective is complete, permanent and absolute. So it is clear and self-evident that the place of the workers, the exploited of whatever sort, whose ideal is anarcho-communism, cannot be other than in the anarcho-syndicalist unions and nowhere else. Their doctrine makes this an imperious, specific and ineluctable duty. Moreover, it is their best practical means of actually achieving that unity of action so necessary for the modern revolutionary anarchist movement. It is only in action and through action that anarchists will discover their real unity of thought; that the anarcho-syndicalist movement, out of kilter for the past 30 years, will also rediscover its equilibrium and its vigour; that all anarchists will at last come to look upon the social revolution as an imminent event and a feasible proposition. All of the above leads naturally and logically to consideration of the role of the anarchist groups and the trade unions. Anarcho-syndicalists have no difficulty in agreeing that anarcho-communist groups, being more mobile than the trade union organizations, should go prospecting among the labouring masses; that they should seek out recruits and temper militants; that they should carry out active propaganda and intensive pioneering work with an eye to winning the greatest possible number of workers hitherto deceived and gulled by all the political parties, without exception, over to their side and thus to the anarcho-syndicalist trade unions. This wholly ideological undertaking, this psychological-type propaganda drive falls, without question, within the purview of the anarcho-communist groups, on the express condition that they identify with the work of the anarcho-syndicalist trade unions which they complement and reinforce, for the greater good of libertarian communism. But let me state bluntly that the decision-making responsibility, action and supervision of the latter should reside in the here-and-now with the trade unions as the executive agents and operatives carrying out revolutionary tasks. I am also of the opinion that it is incumbent upon these unions to prepare all such undertakings of an economic, defensive or offensive order. Finally, in my view, the economic, administrative and social system ought to be homogeneous, harmonious, etc., and the basis of that system, if it is to be real, sound and lasting, cannot but be economic. On behalf of the trade unions, I claim the right to handle revolutionary and post-revolutionary economic tasks because the organization of production is the true calling of the workers. On the other hand, logic dictates that the communes, administrative agencies and their technical and social services, should handle distribution of goods: interpreting the wishes of men in social terms, organizing life in all its manifestations. Starting right now, the anarchist groups have a duty to lay the groundwork for these revolutionary accomplishments. The task of every one of these bodies is therefore extremely clear-cut and perfectly defined. Broadly speaking, it will be enough to welcome everyone‘s acting and making an effort in every sphere of activity, depending on the individual’s actual abilities. At no time, and let me offer you the most formal guarantees here, at no point will the anarcho-syndicalist trade unions be able to constitute an obstacle to the onward march of revolutionary communism. And at no point, either, will they be able to turn reformist, because they are and will remain revolutionary, federalist and anti-statist, because, like the anarcho-communist groups, their purpose is to establish libertarian communism. 1. The anarcho-syndicalist movement cannot deviate, because of the close and unrelenting supervision exercised over its organizations and militants. 2. That, in current terms, in the realm of revolution, the anarcho-syndicalist movement represents the means whereby libertarian communism can be achieved. That it is up to the anarcho-communist groups, operating exclusively on ideological terrain, to take propaganda as far as it will go. 3. That the anarcho-communist movement should concern itself primarily with propaganda and education tasks: the study of society and the popularization thereof. 4. That the best ongoing contact achievable will be achieved, as in Spain, through the unrestricted recruitment into the anarcho-syndicalist trade unions charged with preparing for and carrying out action (they being the only ones capable of bringing this to a successful conclusion, having the requisite membership and resources) of all anarcho-communists in every country; that anarcho-syndicalism’s trial-and-error doctrine, which is the doctrine of anarchism itself, is sound and solid enough not to incur the risk of any infringement, attenuation or deviation. 5. That anarcho-communism, the real face of socialism, was spawned by the utter inadequacy of all the political parties; that anarcho-syndicalism, that movement’s modern, active form, deriving from anarchism, currently caters to all of the positive tasks of anarcho-communism and paves the way for libertarian communism, of which it will be the chief midwife; that anarcho-communism’s tasks — like anarcho-syndicalism’s tasks — will be accomplished in the post-revolutionary period when men, due to the evolution and development of their capacity for understanding, will be capable of acceding to free communism, anarchy’s goal. In short, anarcho-syndicalism is the force required for the struggle under the existing regime and the agent of the economic construction of libertarian communism in the post-revolutionary period. Anarchism assists the anarcho-syndicalist movement, without supplanting it. The activities of its militants blend in with those of anarcho-syndicalist militants within the trade unions. The two movements therefore owe each other ongoing mutual aid. And later, come the peace, harmony and concord, anarchism and anarcho-syndicalism, amalgamating into a single movement, will pursue the achievement of libertarian communism, anarchy’s ultimate aim. Anarcho-syndicalism’s most pressing task today is to organize the workers under its aegis with an eye to the decisive battle against capitalism; to make technical preparations for that battle, to bind the forces of production together for the revolutionary construction of the libertarian communist order; and, tomorrow, to organize the economy until such time as free communism is established; and finally, to defend the revolution. That of revolutionary anarchism consists of deploying all of the resources at its disposal to help bring this about. Self-evidently, there must be a relationship between anarchism and anarcho-syndicalism, nationally as well as at the international level. Moreover, the IWA, at its founding congress, anticipated just such an eventuality. Relations between them should be founded upon each movement’s independence and autonomy of the other and they must remain on a footing of the completest equality. Besides the cross-fertilization of the two movements through the actions of their militants, it is to be wished that in every locality, region and country, contacts may be established between anarchist and anarcho-syndicalist organizations. 1. Anarchists in each country be of one mind, doctrinally. 2. The unification of the anarchist groupings within each country on the basis of a single doctrine of revolutionary anarchism. Whatever the wishes of Congress and of the IWA may be with regard to practical realization of these relations, they can only achieve this, as circumstances require that they do, if those two conditions are met beforehand by the anarchist movements in each country. It would have been infinitely preferable, as well as consistent with our known principles, namely, federalist principles, had that doctrinal unity and unification of anarchist forces taken place prior to the meeting of the Congress that is due to give birth to the Anarchist International. On behalf of the anarcho-syndicalists who achieved that double objective through the launching of the present IWA back in 1922, I call upon all our revolutionary anarchist comrades to follow suit. If they all agree, the International that emerges from this Congress will deserve the title with which they will surely endow it and which cannot be other than: The Revolutionary Anarchist International — and I say again — they will accomplish this without a hitch. It is sufficient but it is necessary that they all agree to break once and for all with the so-called forces of democracy, be they political or trade unionist; that they affirm that revolutionary anarchism, by dint of its goals, its methodology and its doctrine, has nothing and can have nothing in common with these so-called “democratic” forces which are, in every country, capitalism’s finest servants. If, taking this to its limits, the revolutionary anarchist movement also breaks with all of the dissenters from the authoritarian political parties who, like their parties of origin, have but one ambition — to seize or to seize back power — the revolutionary anarchist movement and the anarcho-syndicalist movement will be able to stride fearlessly and in step toward their common goal: revolutionary social change through the establishment of libertarian communism, a necessary step along the road to free communism.